Conventional benchmarking used in farm management compare the physical with the financial performance of farms. Generally, the goal is to simply maximise the amount of an output for a given level of input within a single growing season. However, if the objective is to maintain or increase output in ways that are more sustainable, such approaches need to take into account the wider consequences (positive and negative) of agricultural production. If these are not recognised, farm performance may be seen to be underestimated where, for example, some current output is sacrificed in order to preserve soil quality for a subsequent crop. 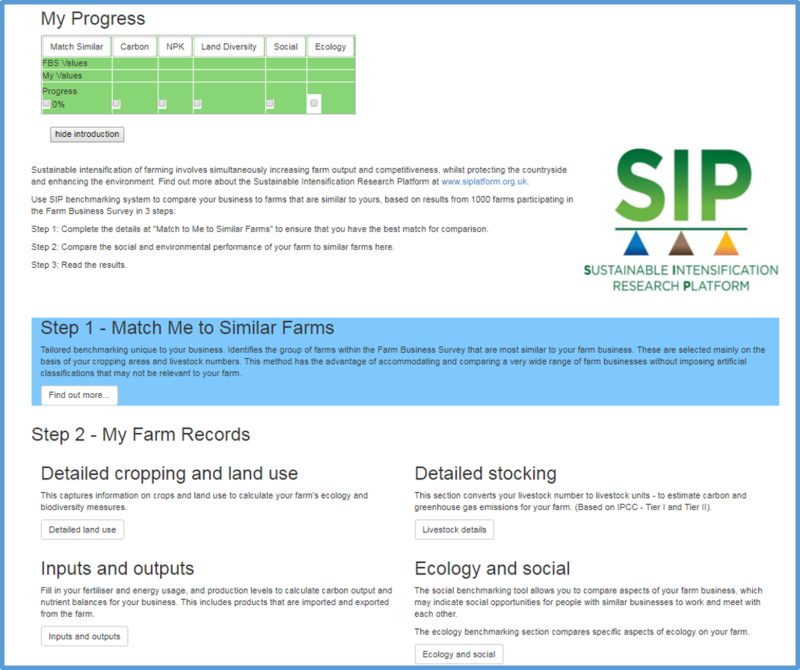 A key objective for the SIP is to develop improved methods and indicators that farmers and advisers can use to measure economic, environmental and social performance of farms or farming systems. A convenient way to measure such performance is farm efficiency - how does a farm's actual output compare to its potential output for the input levels that are currently used? Making farms more sustainable is a dynamic process. Performance over time can be measured using the economic concept of 'productivity', the ratio of output produced to input used. This enables us to evaluate whether farms are becoming more efficient, or whether technological possibilities (such as precision farming techniques) are shifting potential performance over time. Improvements to efficiency or productivity are both potential routes for SI. The SIP will adapt these measures to better reflect sustainability goals, as a basis for generating integrated SI metrics. Each of these four main components has either local or global landscape implications that are of importance in achieving SI. GHG emissions are of global importance, while nutrient balances and land use diversity typically have greater impacts within the local landscape. Social factors impact across different scales, from the farm business to local and national levels.